The great thing about turkey is that its mild flavor and texture make it the perfect “blank canvas” for however you’d like to express your culinary creativity. There are so many cooking methods from which to choose—including oven-roasted turkey breast or turkey made in the deep fryer, on the grill or in the slow cooker. Flavor profiles can range from sage-rubbed traditional to Cajun hot-spiced creative. If you’d like to brush up on turkey basics, follow this in-depth turkey cooking guide. It includes tips on how to buy a turkey, what type to choose, what equipment you’ll need to have on hand, preparation options, and even guidelines on how to store leftovers. 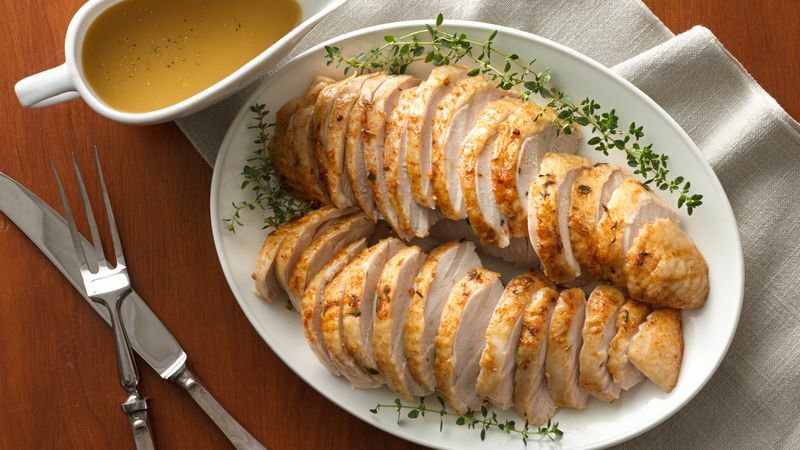 Check out more turkey breast recipes to find recipes perfect for small groups, classic roasts and flavor twists.